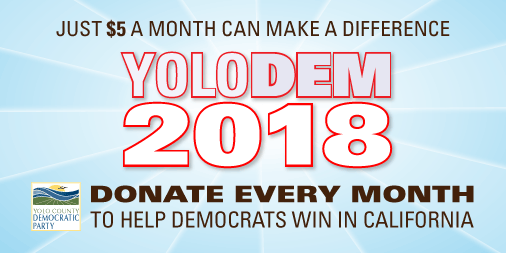 Support Yolo County Democratic Party's efforts to empower voters, advance progressive and inclusive public policy, and win elections countywide and across California. Your monthly donation helps ensure we can organize at the grassroots level to build a better future here in Yolo County and up and down the Golden State. Click "Yes" under Make it monthly and help support YCDP for a full year of activism and party organizing!